The Customize Windows > Computer and Internet > Cloud Computing > Cloud Computing : Yes or No? Cloud Computing – Yes or No? This is the question every individual, business and IT must deal today. Because the cloud is newer trend, already new models and developments are emerging alongside the public cloud and private cloud model, many new technologies including vertical scaling and better service-level agreements are being added up. You will get more details in Cloud Computing Service Models. Cloud computing has become a real trend with realistic scenarios from the media hype. This is confirmed by the fact that more and more companies are relying on the cloud although without actually knowing the need, cloud computing is the next mobile solutions, big data and IT security. Nevertheless the subject of cloud still in doubt in the business environment : the supporters of the cloud computing advocates Cloud Computing as the absolute savior for a flexible, cost-effective and highly efficient IT environment. Critics see it more as a Pandora’s box. They warn of vulnerabilities, the dependency on Cloud vendors and legal pitfalls. Fact is that, both camps are right, as shown by positive and negative examples equally. The answer to the question “Cloud Computing – Yes or No?” must be decided in the context of a specific use. The client companies need to examine in advance all aspects closely for applications, costs, security and law and consider the ratio in which efficiency and price advantages to risks in terms of safety and performance in the cloud. However, Cloud is not known fully on long run – specially if security concerns are taken in to account. Therefore, testing on the different cloud models like public cloud, private cloud and hybrid cloud are needed to be examined. Not least, the cloud providers are asked to respond to the marketing needs and to expand their offerings or to adapt accordingly. First, the distinction is based in public and private cloud , in essence, that in the private cloud, public cloud, the concept of imitating and reacting within the company. While a company in the public cloud does not know exactly where the computers are and who has access, is in the private cloud is not an external service provider, but the IT department itself scalable resources to that charged by usage and by the departments about self-service portals can be booked. Different departments avail themselves of the same resources in order to optimize the usage and hence the cost. The IT department acts almost like an internal service. Thus, the data remains in-house, but at the same time, the cost of the IT infrastructure and operations. Hybrid models combine both approaches. In addition, to find still traditional outsourcing in which a company’s IT indeed given to an external service provider, but has a high degree of control, access and individuality. Depending on the application, a distinction beyond the outsourcing of infrastructure (infrastructure-as-a-service), software ( software-as-a-Service ) or platforms (Platform-as-a-service). A suitable application for the public cloud, is the outsourcing of computing capacity. However, with one caveat: it is only sensible and cost-effective when only need occasional excess capacity, for example, for particular accounts of mathematical, financial, meteorological calculations. Here it is much cheaper to switch to the cloud, or to expand its own data center. It is useful also to swap out recurring invoice. In this context, the so-called vertical scaling for a better and more cost-effective use of the cloud takes a call on the cloud providers play an increasingly important role. This involves the use of additional resources such as memory or processor power on the same machine instances, thus improving the quality of cloud offerings. In contrast to the horizontal scaling, Vertical Scaling must be activated at a higher load query without any additional instances, it only put more power in one instance at short notice. Particularly in the area of ? ?databases, the issue starts with an offer from Amazon to Rackspace. While in 2012 only a few niche supplier supported Vertical Scaling in the cloud, in 2013 it will also deal with the big players with the topic and expand their offerings accordingly. To use the public cloud as a test environment for applications is an elegant idea in theory, but needs a thorough investigation of the security and privacy aspects. Contradicted by the fact that different applications communicate with each other in a complex software environment. 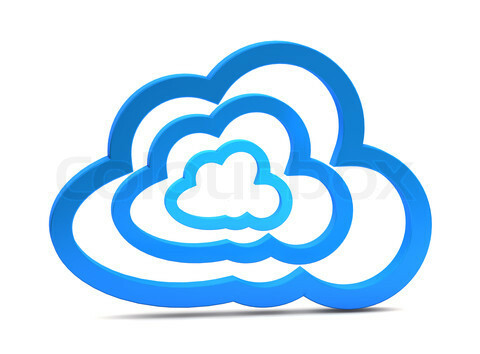 In the public cloud these applications are run separately on different computers and the data would then be exchanged over the Internet. In the public cloud, it is not known where the individual computers are. The infrastructure is not yet set up for intensive data exchange. To play it safe, companies need to encrypt the entire applications and data – that would be more expensive overall than extending the existing test environment. If it is a “simple” test environment with non-critical data, the public cloud is a good choice. No conclusion to the question as Yes or No can never be drawn. Because it is still subjective and is variable. Articles Related to Cloud Computing : Yes or No? Title: Cloud Computing : Yes or No? Cite this article as: Abhishek Ghosh, "Cloud Computing : Yes or No?," in The Customize Windows, August 12, 2013, April 19, 2019, https://thecustomizewindows.com/2013/08/cloud-computing-yes-or-no/.